Unlike your Tinder matches, books are lovers you can never have a bad time with! What if you could meet the man or girl of your dreams between the lines? It's time to set you up on a Blind Date with the ever charming world of words. Imagine walking into a bookstore but all the books look the same! All you would see is a world of possibilities draped in brown paper with a few hints dropped on the cover. Settle in for the perfect date. You don't even have to shave. 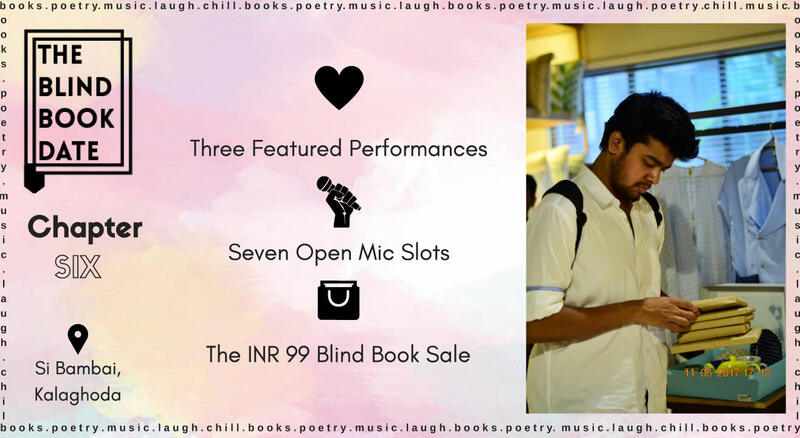 Enjoy your date along with three featured performances and an open mic for all our bibliophiles (7 open spots, five minutes per performance). Get yourself some really good books for flat ₹99! Spend the evening amidst books, fellow bibliophiles, fandom nerds and of course, good food and art! Make the most of it at The Blind Book Date!